Whats is OOPS in PHP Programming Language? OOPS basically stands for object-oriented programming or OPP as it is most probably said. It is basically a programming method which makes use of the class for data organization and decides the structure of an app. The talks about OOP were since the use of PHP 4 but it was actually launched with the PHP 5. Well every new release, it has evolved and got advanced. What is OOP and How is it Used? It is basically a technique for designing the app. Any type of app can be designed with the use of OOPS in PHP. It can be either a web-based app or it can be a windows based app as well. It is a design concept and everything will be working around class and objects. If you integrate OOP with the PHP, you can build a web app. 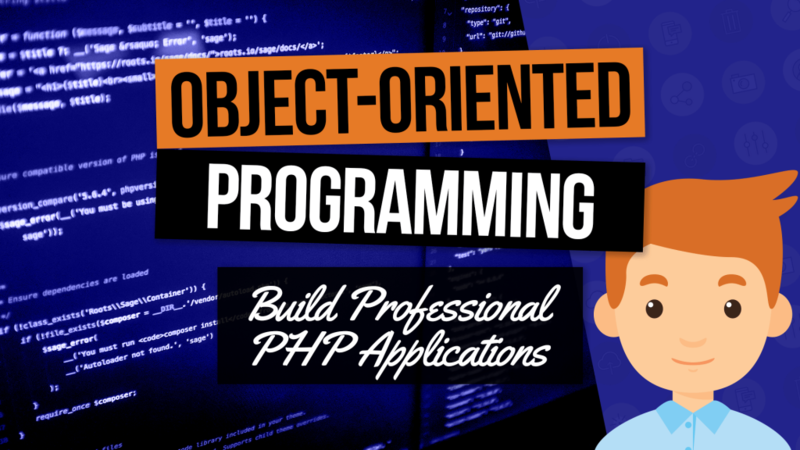 In short, any activity can be done in the object model structure by using OOP in PHP. 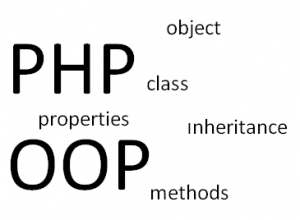 There are some concepts of OOPS you need to learn to work efficiently with it as a PHP developer. You can consider the class as a kind of template which is used for making several instances of a similar kind of object. It is basically a programmer-defined data type which manages the local functions and local data. Objects are also known as instances and a single object of the data structure is considered by class. You create a class for once and build several objects which belong to that class. Class and object are interrelated let me explain you with an example. Before constructing a house, we have a blueprint. This blueprint can be considered a class. The actual house which is constructed using the blueprint can be considered an object. There can be multiple objects of a single class just like there can be multiple houses built with a single blueprint. Hope, now the concept of class and object is clear. It is also denoted as the super class or base class. A class which gets taken by another class is basically the parent class. It is denoted as the derived class or subclass. It is basically the class which gets inherited from another class. When a class gets defined by taking an existing function from another class, it is called inheritance. A child class will inherit some or all of the functions or elements from the parent class, the activity is called inheritance. Member functions are the one inside a class and have the objective of accessing object data. Variable inside a class is member variable. The data of these variables will not be visible outside of the class and can be accessed through the member functions only. After the creation of an object, variables are considered as the attribute. The data wherein the details regarding implementation are hidden is called data abstraction. When an object is formed from the class, a special function is automatically called which is called the constructor. In case an object is deleted, a special function is called automatically which is called the destructor. To create an object when all the data and member functions are encapsulated together, it is referred to as encapsulation. It is basically an object-oriented concept wherein the same function can be utilized for various purposes. Overloading is a kind of polymorphism wherein certain or all of the operators would have different applications based on the type of arguments. Just like that functions can also be overloaded with different types of implementation. Where Should You learn OOPS From? Well, any institute providing PHP training will teach OOPS. If you are looking for a PHP training institute that provides live project training and teach practical implementation of every concept of OOP, Developers Academy is a perfect fit for you.